The publishing metadata that&apos;s contained a YAML file typically called book.yml. The primary purpose of this file is documenting the data destined to go into the OPF and NCX files. Those files are the EPUB metadata files, containing the book title, authors, identifying strings (ISBN etc), the reading order of the files, and more. Rather than generate those files yourself, this file simplifies your life and epubtools takes care of the details. In this chapter we&apos;ll go over all three. The configuration of any AkashaRender/AkashaCMS project is split between the Configuration file and the package.json. The latter is used by npm and the Node.js platform to list package dependencies, the available scripts for performing actions related to the project, and various metadata items like project owner identification or the projects home page. For an AkashaEPUB project, the scripts section can be used to describe the build process, while the dependencies will list the EPUB-related AkashaCMS plugins. The Configuration file, typically named config.js, is a Node.js module that produces an AkashaRender Configuration object. While the Configuration object can be created any way you like, it&apos;s most straightforward to use a config.js file. There&apos;s nothing special about that file name, and it can be named anything you like. In fact the project can have multiple Configuration files for different purposes. This is a fairly simple configuration file. They can grow to be rather complex depending on your needs. We pull in the akasharender module, then instantiate a Configuration object, call some methods, and assign the object to module.exports. The last step makes the Configuration object available to AkashaRender. The second set informs AkashaRender the AkashaCMS plugins to use with the use method. The use call is given the Plugin object resulting from require("plugin-name"), describing the plugin to AkashaRender. Used this way, there must be a corresponding entry in package.json for each Plugin so that npm can easily download the dependencies required to build the book. 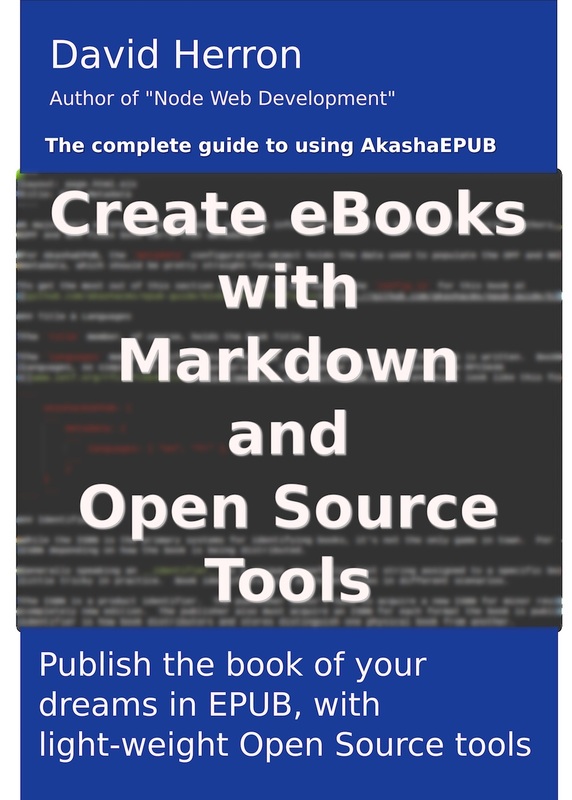 akasharender-epub contains various cleanup&apos;s required because of EPUB3 limitations. akashacms-footnotes provides a simple way to generate a list of footnotes at the bottom of the page. With addStylesheet we declare a CSS file to use in every page. When the <link id="stylesheet" href="/css/style.css" type="text/css"/> tag is generated, AkashaEPUB will automatically rewrite the href attribute to the correct relative URL. With setMahabhutaConfig we describe the HTML rendering output. We have to specify xmlMode: true because EPUB3 requires XHTML files. The third configuration file is used by epubtools and contains the metadata required for the XML files (OPF and NCX) that are tucked inside the EPUB. What epubtools does is to automatically generate those XML files for you from data it gathers from the content files and from this metadata file. The entries should be fairly self-explanatory. We&apos;ll go over these in more detail in the following sections. The YAML format is a powerful-but-simple text format for encoding richly structured data. Think of it as JSON or XML without all the curly braces or angle brackets. We&apos;ll quickly go over the YAML format and in later sections go over specific data items. The YAML page on Wikipedia ( https://en.wikipedia.org/wiki/YAML) is the best documentation I&apos;ve found on YAML. An object is declared using a name: value structure. For string objects the quotation marks are optional. title: "The Good, the Bad and The Ugly: a Retrospective"
A similar issue is that if YAML see&apos;s a string of numbers, it assumes the field value to be numerical. If instead the field value is, say, a product ID where leading 0&apos;s are important, it&apos;s necessary to throw quote&apos;s around the field value so that YAML treats it as a string rather than a number. The metadata you enscribe in your book project is used to generate various metadata files and packaging every required file into the EPUB file. EPUB files are just ZIP files with a .epub extension, containing certain files as described in the EPUB3 specification. mimetype - simple text file containing the required MIME type of the EPUB book. OPF - The Open Package Format file which indexes every file in the EPUB container, as well as metadata about the book. OPF is new to EPUB3, and supplants the NCX file. NCX - The older package index file which, while it has been deprecated by EPUB3, is still useful because many EPUB readers still look in this file for the Table of Contents. HTML Navigation Document - An HTML page containing the Table of Contents, with navigation markup specified in EPUB3. The EPUB3 specification supports some additional files. At this time AkashaEPUB does not generate those files. Let&apos;s now look at the first segment of the book.yml configuration. The opf member controls the file name for the OPF file. That file name is squirted into META-INF/container.xml so that EPUB readers know where to find the file. The epub member controls the file name of the generated EPUB file. The NCX file is optional. While the EPUB3 specification says not to use NCX files, many EPUB readers still look for this file. Some of us will find it useful to generate an NCX file into the EPUB. The NCX file carries both metadata and a content index, organized to convey the chapter/sub-chapter structure. 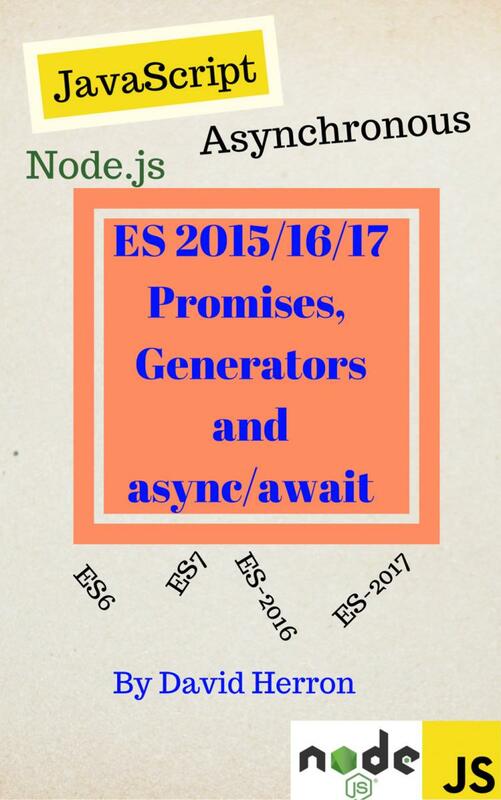 We&apos;ll discuss Table of Contents generation in more detail in a future chapter - Structuring your book. If the ncx member is present, the NCX file is generated. It&apos;s name within the EPUB will be the value of the href field. The title member, of course, holds the Book Title. The languages member specifies which language (or languages) in which the book is written. Books can, and sometimes are, written in multiple languages, so simply list what&apos;s appropriate. The language codes are taken from RFC5646 ( www.ietf.org/rfc/rfc5646.txt]) and might look like this for a book written in both English and French. While the ISBN is the primary system for identifying books, it&apos;s not the only game in town. For many important uses one doesn&apos;t even need an ISBN depending on how the book is being distributed. Generally speaking an identifier is a unique (hopefully) text string assigned to a specific book. While that&apos;s seemingly simple, it&apos;s a little tricky in practice. Book identifiers play different roles in different scenarios. The ISBN is a product identifier. The publisher doesn&apos;t have to acquire a new ISBN for minor revisions, but it is required to do so for a completely new edition. The publisher also must acquire an ISBN for each format the book is published in. In other words, the product identifier is how book distributors and stores distinguish one physical book from another. The key word is physical because ISBN&apos;s purpose is primarily controlling inventory of printed books in warehouses and bookstores. It&apos;s widely thought eBook do not require an ISBN, but of course you should check with an authoritative source on this. The product identifier is useful for book distributors, but it doesn&apos;t tell us whether two versions of an electronic book are bit-for-bit identical. The EPUB3 committee settled on two identifiers that together satisfy both the need for a product identifier, and a bit-for-bit identicalness identifier. Over the next few paragraphs we&apos;ll go over how to represent this in AkashaEPUB. The identifiers list contains product identifiers. An EPUB can have multiple identifiers, hence we support more than one. However, only one of them can be the unique identifier for the EPUB. The unique attribute is required on one and only one of these identifiers. It can have any value you wish, it just needs to be present. uuid or Unique Universal ID. The format is simply a UUID string. urn or Universal Resource Notation. There are many other URN formats to use. The example shows use of a UUID. Under the covers it is converted to the correct format in the OPF file. Generating a UUID string is fairly easy and there are many available applications that correctly generate a UUID. UUID: urn:uuid:6e8bc430-9c3a-11d9-9669-0800200c9a66 -- This is just a string of self-assigned numbers that you guarantee is a unique universal identifying number. The ISBN number system is controlled by the International ISBN Agency ( www.isbn-international.org/), through regional ISBN agencies. Publishers or authors can acquire ISBN numbers through the agency for their country or region. Some say that ISBN&apos;s are unnecessary for electronic books, and indeed none of the e-book marketplaces require an ISBN. If you&apos;ve acquired an ISBN for your book, use it in the method shown above. urn: " .... one identifier"
ncxidentifier: " ... another identifier"
If you do this, the epubcheck program (see Validating EPUB files built by AkashaEPUB) will give you a WARNING that the OPF and NCX identifiers should be equal. So far we&apos;ve talked about the publication identifier, and promised to discuss a second identifier that&apos;s used for bit-for-bit identicalness. Now&apos;s the time to do so. The method chosen by the EPUB3 committee was to use the date metadata value. By gluing together the publishing identifier just discussed, and the publishing date, an EPUB reader can tell one EPUB from another. One simply must be sure to generate a new publishing date each time the EPUB is generated. The date string most conform to the W3C date format, as shown here. This date attribute fills in the dc:date element in the OPF metadata. Another date field, the dcterms:modified element, is automatically generated by AkashaEPUB to indicate the exact time the EPUB was built. If you do not provide a date, it is generated for you. The creators member lists all the authors (creators) of the document. List one per "creator". The name and nameReversed field takes care of different ways the name is presented in different systems. Additional fields can be given to refine the data. You can also list contributors whose role was less significant. The publisher member gives the name of the publisher. This is simply the proper name for the publisher. The subjects member gives an array of keyphrases or keywords describing the topic or topics covered in the book. The rights member is a statement of intellectual property rights held over the document. For example: "Copyright 2015, David Herron". The source member is used when an EPUB was derived from another source publication, such as a print version of a book. Use the Identifier of that other publication.